Our range of choices is matched only by our quality. Let your imagination run free. Anew Bath Remodeling works with the leading manufacturers in the industry to bring you the selection to complete your vision. Whether your primary concern is beauty, safety, functionality, cost, or all of the above, if you can dream it, we almost certainly have the quality product for it. 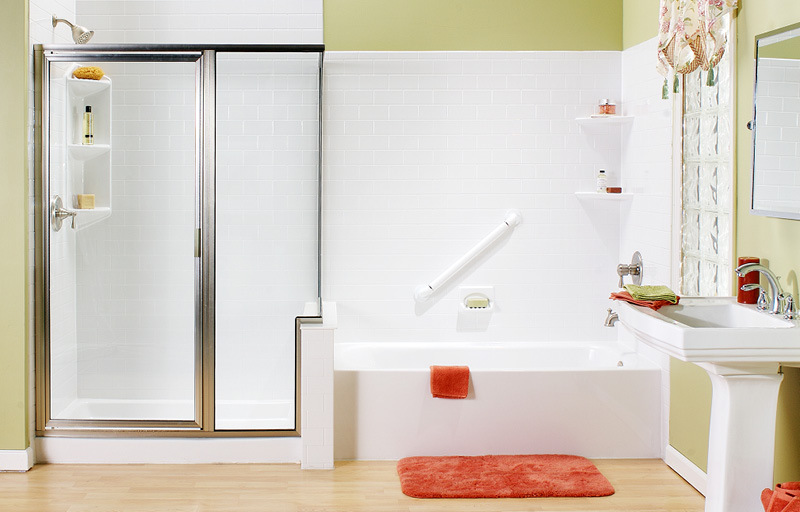 Bathwraps offers a comprehensive line of beautiful tub to shower conversions, walk-in bathtubs, bath liners, bath accessories, and custom-manufactured bath or shower systems. All of their bath and shower systems are manufactured with 100 percent nonporous acrylic that resists mold and mildew, and are guaranteed to not crack, peel or fade as long as you own your home. There’s nothing like the beauty and texture of cast glass. Cardinal Shower Enclosures offers an extremely wide selection of models, finishes and glass options, from patterned to cast glass – all built to the highest possible standards for maximum reliability, and carry a lifetime guarantee against defects in craftsmanship and materials on extruded aluminum parts.